Clear, glowing, dewy-looking skin, free of blackheads, pimples, cysts, and other imperfections seems to be an elusive goal. The skin care industry would have you believe the same with their claims of the need to rid your skin of oil completely and apply burning chemicals in order to avoid these imperfections. Modern society has been so strongly influenced by these marketing claims that some find themselves washing the delicate and easily-inflamed tissue of their facial skin with “grease cutting” or “antibacterial” dish and hand soap only to find that their skin condition worsens. The anxiety that rises when yet another pimple flares up or another painful lump begins forming beneath the skin sends many into overdrive in attempt to counter the impending damage, but does it ever work? Does the panicked scrubbing, disinfecting, and drying ever work? Why is it that if something works for a few days, or if you get lucky, a few weeks, the long term brings the blemishes back? The cycle seems endless. It’s exhausting. It’s painful. It’s embarrassing. It’s expensive! The reasons we have so much trouble with mainstream skin care products are numerous, but two reasons, in particular, lead the pack. These products strip the oil out of our skin, leaving our largest organ trying to repair itself by replacing the oil stripped away. This leaves us in a cycle of being tight and dry followed by the inevitable oil slick. Each time we strip the oil away, our skin over-compensates for the lack of moisture by creating more oil. On top of the drying effects, these products are highly-scented. Fragrance is one of the top skin irritants and strangely enough, even the so-called “unscented” products usually contain fragrance. See for yourself and check the labels. Dry, irritated skin replaced by oily skin, inflamed and trapping debris? Getting right down to basics, when cleansing and moisturizing your skin, it is imperative that you keep in mind that oil dissolves oil. Your skin naturally lubricates itself with oil, and as we are creatures of adaptation, one can believe that if this weren’t the appropriate built-in care for ourselves, our bodies would have adapted to suit the need. If you’ve been battling your skin for long, you’re probably recoiling at the mere thought of applying oil to your face. You can imagine the slick, greasy, clogging feeling of smearing sludge all over your face. If you stay with me and read the rest of this blog, that mental image will be replaced by a more comforting, Zen-like image of a relaxing spa massage. I promise!! Read the blog, then decide if you should give the oil cleansing method a try. Do not be afraid of applying oil to your face. Oil, alone, will not bring you blemishes. Pimples, cysts, zits, blackheads, whiteheads…these are a result of several different factors including hormones, bacteria, dead skin cells and the buildup of these factors. Your skin naturally produces oil because it needs it. It is not a malicious force to be reckoned with; it is there for the benefit of your skin, allowing your largest organ to function properly. It is naturally occurring. Not only does your natural oil help lubricate, it also heals, protects, and moisturizes your skin so that it may function properly. Properly functioning skin is beautiful, clear, and glowing. Learning to work with your skin, not against it, will save you tremendously. The basic concept of the oil cleansing method is that the oil used to massage your skin will dissolve the oil that has hardened with impurities and found itself stuck in your pores. The steam will open your pores, allowing the oil to be easily removed. Should you need it, the smallest drop of the same oil formula patted over damp skin will provide the necessary lubrication to keep your skin from over-compensating in oil production. Washing your face with oil may sound like a recipe for blackheads and breakouts, but plant-based oils are actually an effective cleansing agent for dry, oily, and yes, even acne-prone skin. “The oil cleanser dissolves the “bad oil” on your skin and unclogs dirt in your pores,” says Heather Woolery-Lloyd, M.D, a Miami-based dermatologist and clinical researcher. + Traditional face washes contain harsh ingredients that strip your skin of it’s natural oils, leaving you with a “tight” feeling. This in turn leads to your skin producing even more oil to compensate for moisture it’s lost, which often leaves you with oily skin, thus establishing an unfortunate cycle. + Simply put, oil dissolves oil. The best way to dissolve the bad oil (the sebum that hardens in your pores, along with dirt and toxins) is to dissolve and replace it with nutrient-rich plant oils. Plant, nut and seed oils cleanse, detoxify and moisturize the pores and skin surface. + Oil cleansers do not require any preservatives or chemicals, making it a safe method for even the most sensitive skin. First and foremost, this is typically done in the evening, prior to bed. There should be no need for deep cleansing in the morning if you’re waking up with skin cleansed the night before. In the morning, a quick wipe with a warm washcloth should suffice. We don’t want to over cleanse our skin as this will serve only to irritate and cause more oil production. The objective of using the oil cleansing method is to deep clean while balancing our skins oil production at the same time. Pour a generous puddle of oil into the palm of your hand. Roughly, the size of a quarter. Rub your hands together to warm the oil and smooth it over your face. Begin massaging the oil into your face. This will remove sunscreen, makeup, dirt, and other impurities, so there is no need to use a makeup remover or wash your face prior to the massage. I’ve found that this removes even my stubborn waterproof mascara and concealer. Using slow, firm motions across the skin, massage the oil deeply into your pores. Take your time and focus on your problem areas. You want the oil to work into your pores so that blackheads and impurities can be dissolved and steamed away. As you’re massaging, let your mind drift off to something calming and breathe deeply. Take this time to relax and release some of the stress that your body is harboring. Sit down, breathe deeply, and take your time. Give the oil enough time to work on dissolving the impurities in your pores and give yourself enough time to unwind. Once you’re satisfied that your pores are saturated and you’re feeling calm, pick up your washcloth and soak it in clean, steamy water. We want the water to be warm enough to further soften your pores and remove the oil. Cool water will not soften your pores, nor will it remove the oil efficiently. We’re not scalding our skin, we’re steaming to coax our pores to release the oil carrying the impurities. We’re essentially steaming our skin as an esthetician would, but without the luxury of a steam machine. Hold the washcloth to cover your face. Allow it to stay until it cools. You will feel your pores softening and releasing the impurities. Wipe the oil gently away and rinse the washcloth well in hot, running water. Hold the washcloth to your face again, allowing it to cool. Wipe gently, rinse well, and repeat two or three more times. Avoid any temptation to scrub, as you’ll find it’s completely unnecessary and your skin will be soft, smooth, and free of flakeswithout the additional manual exfoliation and irritation that will result. Impurities, dead skin cells, and bacteria will be gently swept away. This deep cleansing method should be done regularly, but not too frequently. You’ll know if you’re deep cleansing too frequently by the dryness that your skin will exhibit. Don’t be surprised if you find you’ve unblocked an oil flow for the first few days. Once you remove the old plugs from your pores, they will begin functioning properly again. Perfect skin won’t happen overnight and while it should take a few massages to achieve your goal, you should notice a huge difference in your skin after the first deep cleansing massage. Give your skin a few days to adjust and adapt to being clean and clear of blockages; understand that the new oil coming from your skin is actually a good sign and will balance out very shortly. You’ll find redness and irritation subsiding. You’ll find your skin losing that “congested,” and thick feeling!! 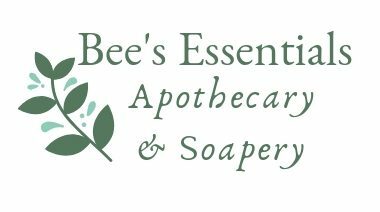 Bee Happy Essentials carry’s three facial cleansing oils. “Youthful” is our blend for mature/dry skin. Youthful is handcrafted with a specific and unique blend of olive oil, avocado oil, coconut oil, rosehip oil and castor oils. These oils are known for their moisturizing and nourishing properties for mature/dry skin. “Radiance” is designed for normal skin. Radiance is crafted with a unique formula calculation of sweet almond oil, sunflower oil, avocado oil, coconut oil and castor oil. This blend has a nice balance of moisturizing and conditioning for normal skin. “Luminosity” is an oil cleaning blend for acne-prone/oil skin. Luminosity is a blend of grapeseed oil, sweet almond oil, sunflower oil and castor oil. These oils are known for cleaning away bad oil while balancing the skin’s natural oils.